Have you ever gone into a flea market or antique shop and seen bins of vintage photos? Basically black and white photographs that most likely sat on someone’s mantelpiece years ago and over time have simply been forgotten by the families? If you enjoy creating collages or art journals and love the vintage style or pictures from a different time and place, you can incorporate them easily by also altering them to fit your style. I personally have found that I just couldn’t bring myself to alter the original, so I would get color photocopies made of them at the local print shop. You can then alter them to your style and create cards, postcards, artwork or collages. This can be a fun addition to any mixed media. This way the photo paper is not as thick as the original making it easier to glue and add to your projects. You can also do this on your computer with photo shop, but I much prefer to mess around with the inks physically rather than a printed version as not all printers will print the color hues just right. I love the idea of physically touching and adding rather than messing on the computer. You don’t even have to use vintage. You could find photos in your albums or on your computer that you like and print them in black and white. Create the vintage black and white style with any of your own color pictures. These can be a really cool way to create a greeting card or postcard for a friend or family. You can then color them and age them as this guy did in the photo. I found it was best to use copy paper because it got rid of the sheen which can sometimes make adding color difficult. But that is just me. You could print them off your computer on cheaper photo paper that will take the ink without rubbing off. It can also be fun searching for vintage pictures; you don’t have to purchase them you could also go through your own photo albums if you have older pictures and get them copied so as not to ruin the original. But there is something about those old photos. They were always posed, and the clothing and looks on their faces is much different from the pictures today where you capture laughter and movement. But they can work really well in arts and crafts projects for vintage styling. This is all you really need to do this craft. You can get these online and a huge assortment of colors for the ink. But there is a particular line of photo distressing colors as you can see in the video. You can get these online too. But make a few copies of your pictures and have some phone trying different things. 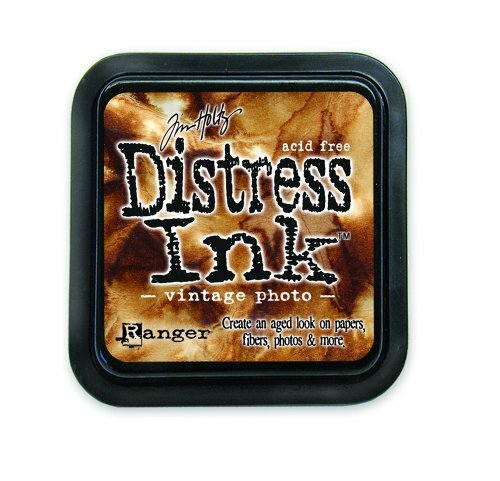 Maybe you already have a lot of distress inks or any color inks that might work well. Just have fun until you find the right combination. This is the perfect time to go through your art supplies and get creative. He also uses stamps as a last step, which can be fun too. You could get really creative, especially if you are creating a greeting card, you could stamp Happy Birthday or whatever you want directly on the photo and then attach with a glue stick to a plain folded card or scan the finished altered photo and print it using stock card paper. There are so many ways you can use these. If you don’t have any old photos you like, head to the flea markets or the antique stores and see what you can find. Old postcards are fun too as they are black and white and you could take a copy of the front and back and use both in your collage or projects. 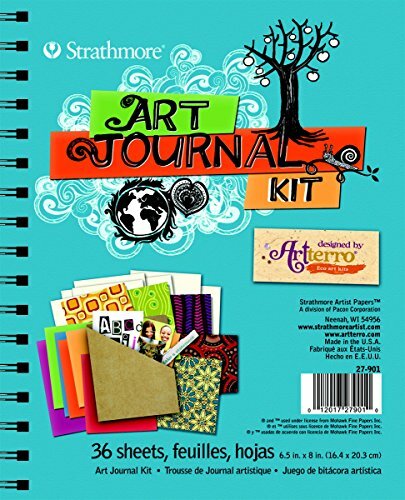 Art journals are very popular now; they are basically a book full of thoughts and drawings or whatever you feel like creating for an artist or crafter. 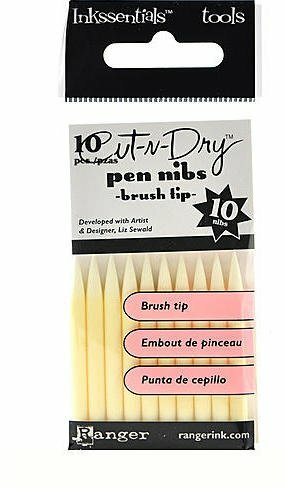 They are a great way to bounce some ideas off the page for maybe creating a larger version later, so perfect for trial and error when trying a new media, or simply to have fun, draw whatever you feel like drawing or paintings or simply write down your thoughts. Using altered photos of people you love or places you have been are a great way to add some dimension to your art journal. There are so many cool products on the market now to create mixed media pictures and collages and pages in your book that the sky is the limit for your imagination. If you suffer at any time for artist block, which means nothing creative is flowing, messing with old photos and creating something from them is a great way to get the juices flowing because you are not staring at a blank canvas or paper. Look at the picture and mess with the inks and stamps and try something different and your creativity will flow again.